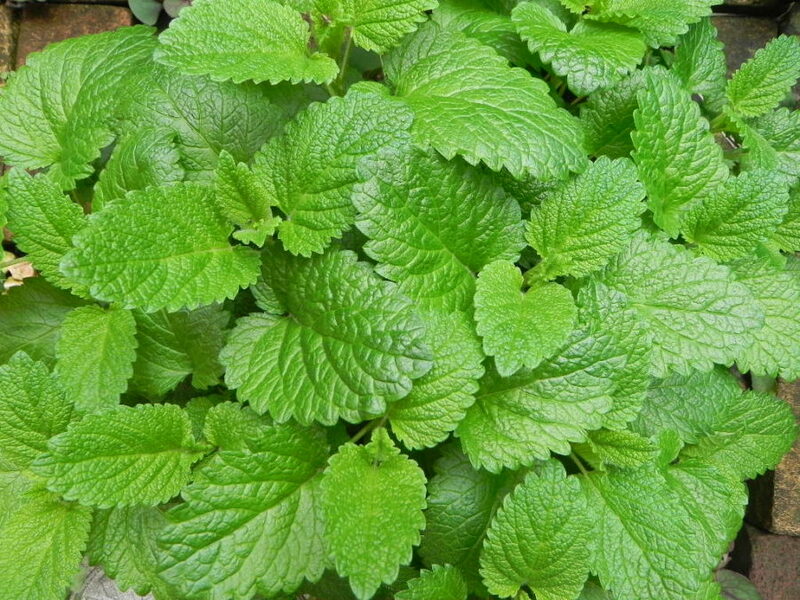 Lemon Balm has a sour taste with a cooling and sedative properties from the mint family. Fresh tincture of fresh Melissa should be on hand in every household as a general sedative. Great as a general remedy in treating heart palpitations, atrial fibrillation, high blood pressure, treating fevers, and digestion. Lemon balm plants will grow in part shade to full sun, but flourish best in full sun. Plant seeds indoors during early spring. You should see the first shoots within 12 to 21 days after sowing. When the leaves are ready to harvest, dry them on screens or hang in bunches to preserve for later use. On average, it takes about ten weeks to go from seeds to full-leaf plants. Nervousness, panic attacks, insomnia, nervous headache, spasm in respiratory centers, convulsive coughing. Then asthma, anxiety, heart palpitations, atrial fibrillation, HPB, rapid pulse. Flatulence, nervous indigestion (hot tea after a meal), nausea and vomiting, recent colds and fevers (hot tea to promote perspiration). Promotes conception, menstruation (deficient and painful), menopause (hot flashes). Excessive sexual excitement, impotence, burns, blisters, herpetic sores, stings, sweaty palms. Fresh is better than dry, for dry loses it’s flagrancy. Make a tea or tincture with fresh leaves. Dosage of tincture (1-3 drops, to 10-30 drops). You can also use Oil.